← Raccoons Are Digging Up My Lawn! Okay, sooo tired of all the commercials showing families just like you seemingly enjoying acres of artificial turf for a lifetime. Let’s have a real talk, just you and me, about the bold reality of this product, in my opinion of course. And just remember that Landscape Contractors like me can make bigger profits in a shorter period of time through selling this stuff to you than we can by installing low-water, eco-lawns or energy wise re-landscaping…so you could say I’m shooting myself in the foot a bit here. But hey, I’ll survive. Really? It’s a petroleum based product that requires intensive amounts of energy just to extract, produce, transport and install. 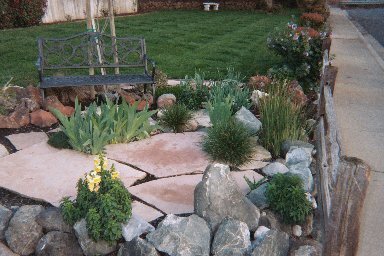 Additionally, even if water can get through the backing, the run-off is shown to contain dangerous levels of many chemicals which can contaminate the soil and make humans and pets sick, not to mention other plants in your landscape. Lastly, AT does not “breathe” back to the benefit of other life on the planet – it just consumes. Really? Just like new carpet, new AT bleeds off nasty chemical emissions for a long-time after it’s laid, errr, installed. You and your family get to breathe that stuff in. And while real grass (and it’s eco-friends) can process urine, poop and other stuff that gets on the lawn, AT cannot. Those bacteria just sit there breeding until you wash it off – which uses water, by the way, and maybe some bleach too. More chemicals…yum! For real NOT! 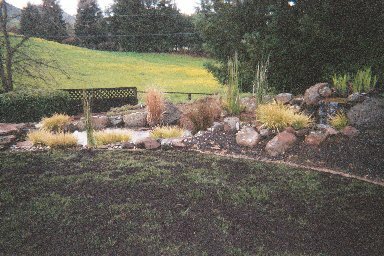 I’ve actually stood on many AT landscapes, and it absolutely DOES NOT feel like real lawn. Try it for yourself. Go to your local school or soccer field where they use AT. Make sure it’s a good warm afternoon; take your shoes off beforehand; prepare yourself for that deep breath you take when “hot feet” meet “cool grass”. You will be disappointed. Instead, your feet may even get hotter and that deep breath will be filled with the nasty smell of plastic that’s been in the sun too long. BTW, I feel strongly about this…maybe you noticed. Ummm, okay, better now…maybe. What? This is the biggest scam of all, again IMO. Yes, you don’t have to water to grow it, or mow it or fertilize it – because it’s not alive. But you do have to “water” it off regularly and vacuum or blow off debris as well. And every once in a while you have to rake and replace the plastic crumbs or sand in order to keep it looking “natural”. Where is the labor savings here? 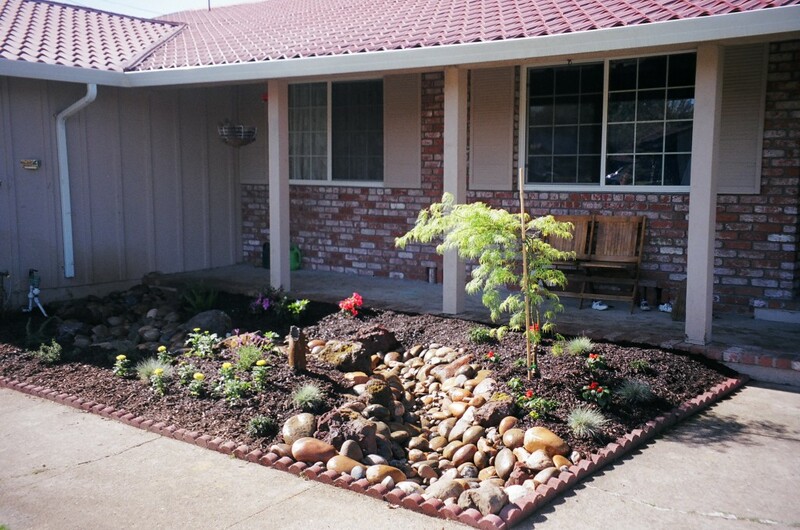 A well planned and executed drought tolerant landscape is much less maintenance. 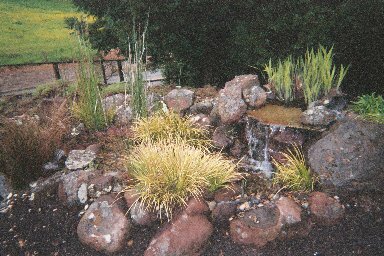 The only way to really get away with NO maintenance for most people is the ever popular (yuck) lava-rock landscape. Sorry if I offended any LRL lovers out there. Again, really? Wholesale pricing on uninstalled AT can be somewhere around the same price as installed sod…but you can’t get wholesale prices, can you? So that means, depending on who you use, your AT project can be as much as $10-$15/square foot or more, installed. By most accounts, AT manufacturers give a 5 year conditional guarantee for their product, while claiming it can last up to 10 years. What they omit here is those figures are for their more expensive products AND for low-use or small areas only. 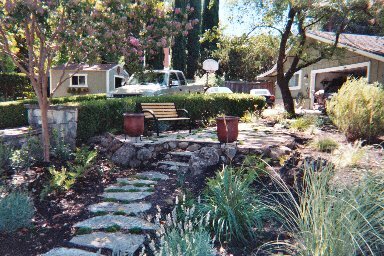 Large use areas, like your backyard, come with “special” small print – just for you. 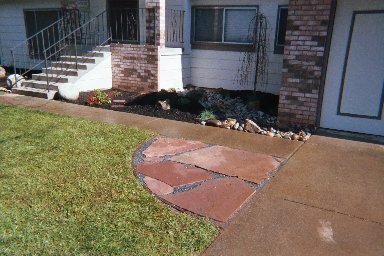 You do the math for your yard – or if you’re math challenged, contact us. In Finality for Today – Don’t take my word for it. Check it out for yourself. And if you’re still on the AT bandwagon, please please please call us first! We need the money. It’s a down economy you know… Nah, seriously, we don’t do this stuff. But we can help dream-up and execute some other truly eco-friendly lawn and landscape options.